Our Mission Statement states we “will ensure that every student is Ready for Tomorrow.” All too often mission statements are just words on a plaque or papers in a file. In Hilliard, we live our mission statement every day. Our commitment to active partnerships takes effort… the effort is what makes Hilliard a great place for students and families. In this Quality Profile, now in its fourth year, you will see how we are getting our students Ready for Tomorrow through our Academics, Interests and Mindset. We will also show how we continue to do this in the most fiscally responsible way. As we live our Mission… as we embrace our diversity and inspire our imaginations… we empower our collective efforts to strive to be elite. 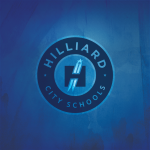 Our partnership-our Hilliard Schools Community-performs at the highest level and we are most effective and efficient when we are working together in active partnership.